The Killing of a Sacred Deer stars Colin Farrell as Steven, a charismatic surgeon who must make an unthinkable sacrifice after the sinister behavior of a teenage boy (Barry Keoghan, Dunkirk) whom he’s taken under his wing threatens his entire life. The “suburban Greek tragedy” also stars Nicole Kidman as Steven’s wife Anna, along with Alicia Silverstone (Clueless), Raffey Cassidy (Allied), Sunny Suljic (The Unspoken) and Bill Camp (The Night Of). Sacred Deer reunites Lanthimos with Farrell, who also starred in the director’s disturbing but brilliant dark comedy The Lobster, one of the best movies of 2016. Lanthimos directed both films from scripts he cowrote alongside Efthymis Filippou, with whom he penned his last three features. Lanthimos has an incredibly distinctive style, and the Sacred Deer trailer has us excited for more of his off-kilter artistry. 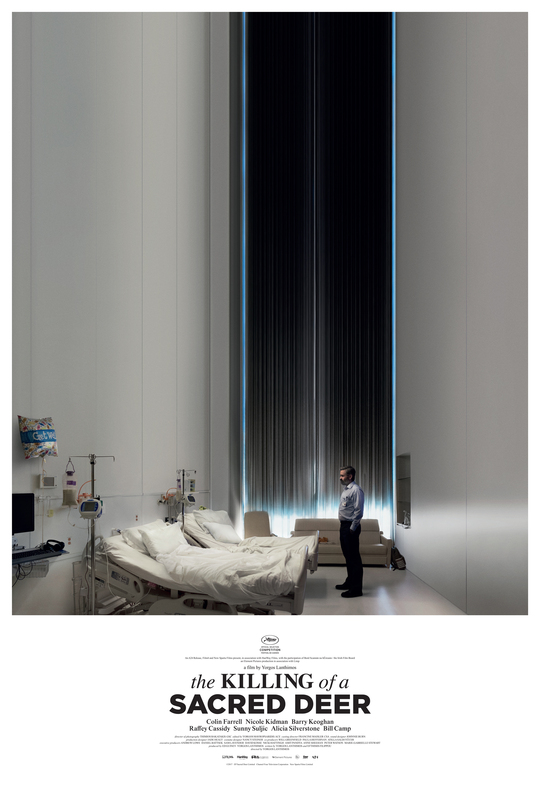 The Killing of a Sacred Deer was shot in Cincinnati, Ohio, last summer and debuted at Cannes earlier this year, where it tied for the best screenplay award. The film comes to select theaters on Oct. 27. Watch the first trailer above, and see the film’s full synopsis and striking poster below.